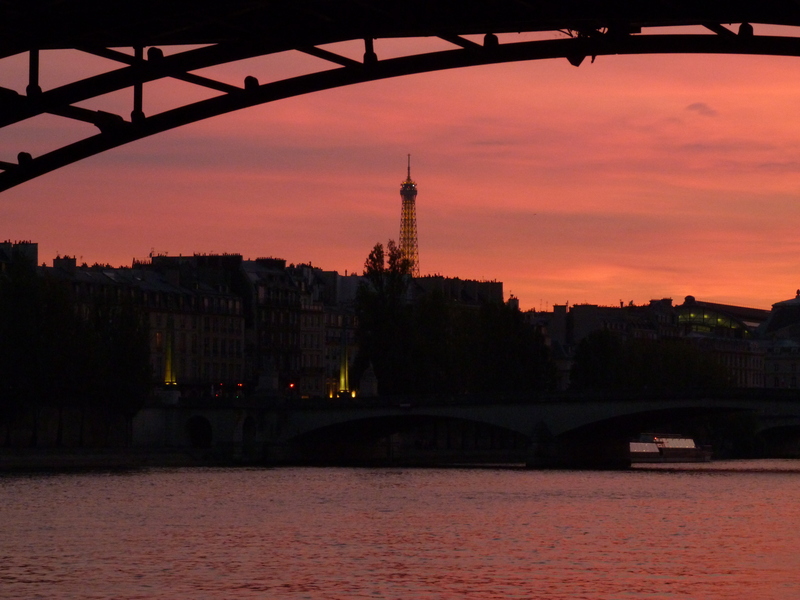 If you live in Paris, you most likely hate going to the post office. (Of course it is probably just as annoying to go to the post office in most cities). But I never dreaded the post office until I moved here. Lines move slower than the clock on your last day of cork before vacation. Rarely are the postal workers amiable. I once found myself in tears after a visit to the post office (of course I was five months pregnant and an emotional volcano waiting to happen), but still! The woman was beyond rude. There is one postal worker who is kind and cheerful at the post office on rue de Saussure in the 17th. It softens the tediousness of the task to get in front of his counter. But, when in need of stamps, imagine not having to go the the post office at all, but having the post office mail them to you!?! And isn’t it a funny concept that the post office is mailing to you, your ability to mail to others, or am I just sleep deprived and crazy for finding that delightful??? Regardless of my state-of-crazy, I wanted to share this lovely tidbit with you all because I find these stamps that you can select online absolutely beautiful! One of the other reasons why it can be beneficial to purchase them online is that in addition to suffering long lines and grouchy postal workers, often times they will not have the stamps you want and you end up getting the generic Marianne stamps which although classic and très French, it’s not as fun as what we got in the mail. For international letters there are stunning Paris stamps. 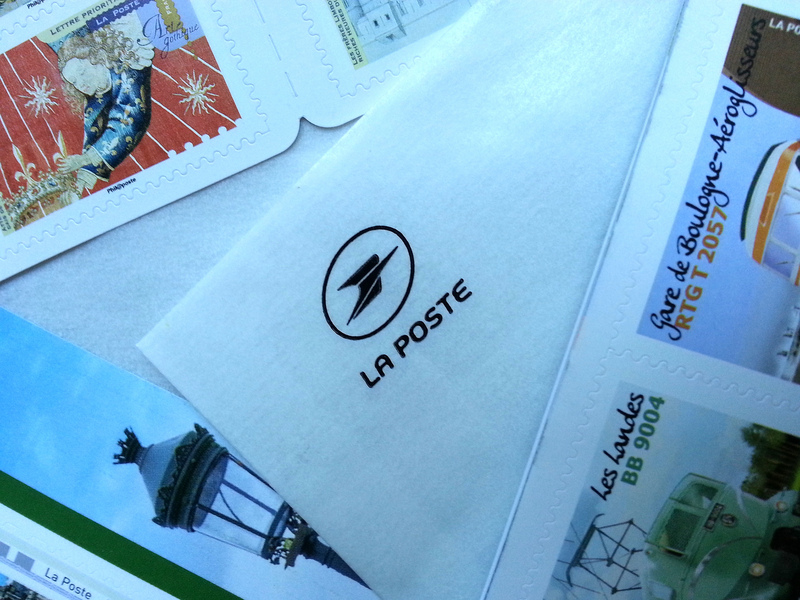 What better way to stamp a letter from Paris than with a Paris stamp! Or for thank you cards, invitations and other fun or prestigious mail, it’s nice to put something beautiful in the upper right hand corner (not for bills of course). In an age where so much is done via email and electronic and digital means, sending mail is often for something special (like baby birth thank you cards) and it’s nice to pay attention to detail and make the postage look nice as well as the card. But La Poste goes even further in their quest to seduce mail senders; we ordered a certain set of stamps on historical train travel in France that came in the form of a booklet that offers a little historical passage next to each page of four stamps. It obviously costs more than the stamps to make such a product, but what a lovely item! Fun, useful and informative. And what a lovely, original and inexpensive souvenir this could make. 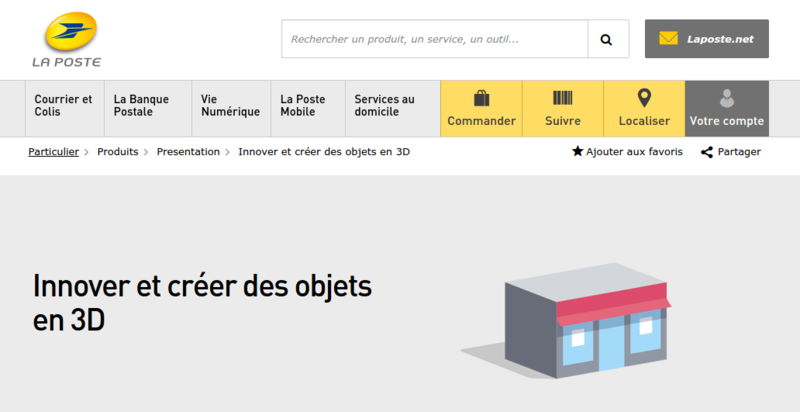 But not one to only be stuck back in history, La Poste offers innovative services such as 3D printing; yep, among a slew of other amazing services you can find when browsing their website! You may enjoy going to the post office now that you can do so from the comfort of your laptop!